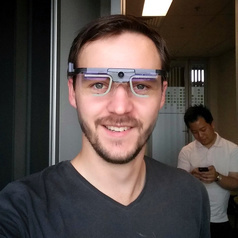 Fraser is a PhD candidate at the Microsoft Research Centre for Social Natural User Interfaces at the University of Melbourne. He studies voice interfaces, bots, virtual worlds and the people who spend time with them. His latest work focuses on the quasi-social ways we interact with AI assistants. In other lives, Fraser has been a market research consultant, technologist, radio host, political writer, festival organiser and youth arts promoter. His favourite board game is Codenames.